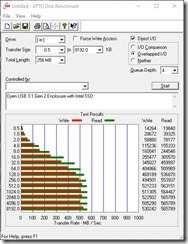 After my first experience testing the Silverstone TS231U-C, I still wanted an external device that would help me exploit the USB 3.1 Gen 2 interface, and provide me with fast external storage. 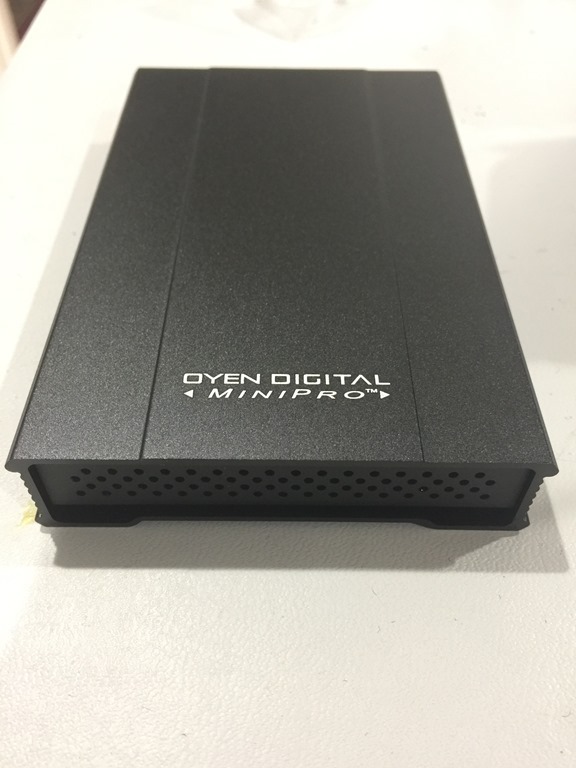 I searched around and ran across the the Oyen Digital 2.5 inch external enclosure that also claimed to support gen 2 for the extra bandwidth. Below is a quick review of the results. 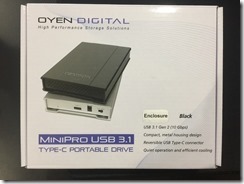 I still would like to get a multi drive solution that would provide me with more storage and the ability to RAID, but as of now the search continues. 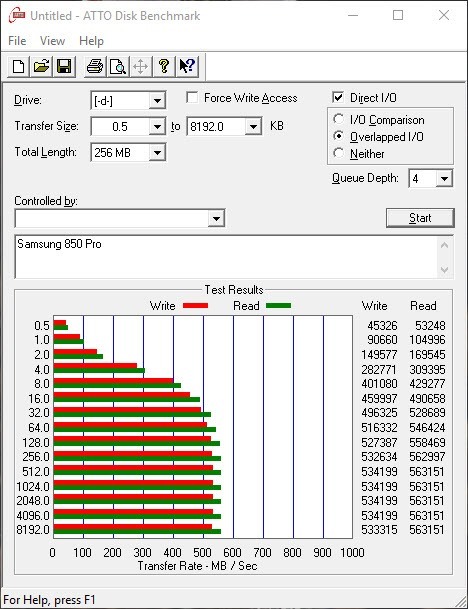 As a baseline, the first benchmark result s from an internal Samsung pro that is connected directly to a Sata controller. 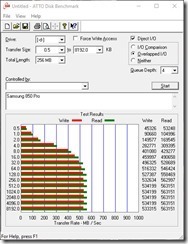 Though there are some minor differences in performance between the Intel Drive and the Samsung drive, they typically have very similar benchmark results. 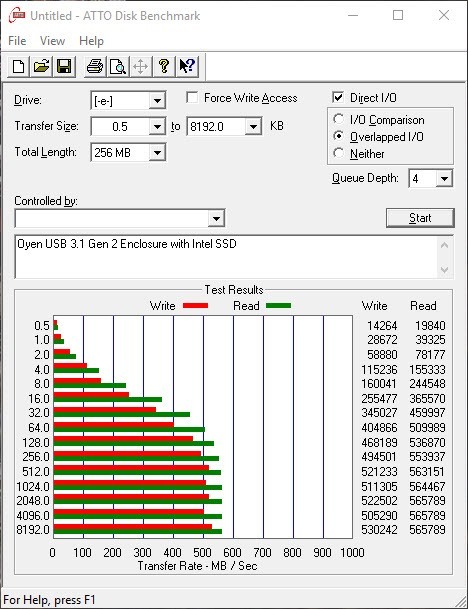 As you can see from the two benchmarks, the Intel drive is not being limited by the USB 3.1 interface. 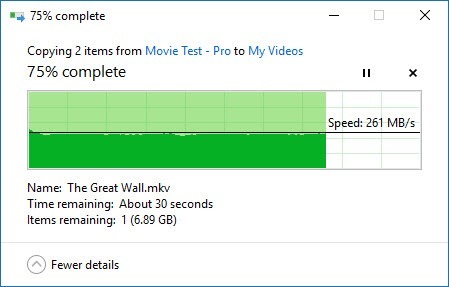 This is the data transfer performance between a Samsung 960 Pro NVMe drive and the Oyen Digital box that contained the Intel SSD. 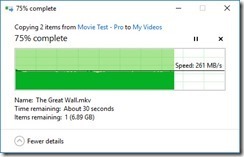 As you can see, it is saturating the drive and does not seem limited by the USB interface. The transfer is smooth and consistent despite doing other copying and functions in the background. I really like this enclosure. 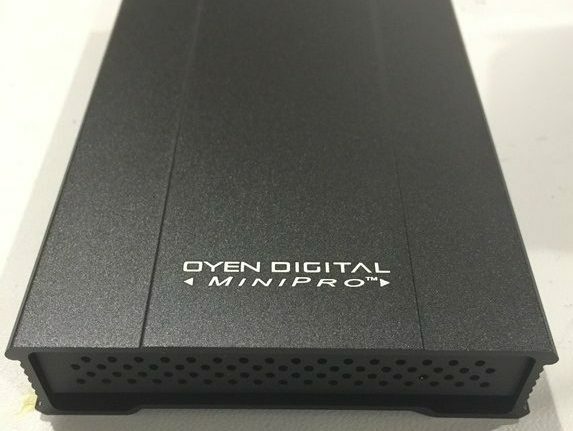 It is very small, well built, does not require a power brick, and is very fast. It provides me with the flexibility of using it as a scratch drive when working with Premier,or an external drive for my future laptop. 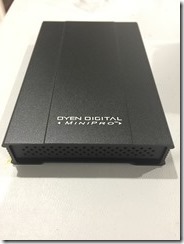 It is very easy to swap in a new drive should my needs increase and makes a light weight portable device for the future. My only real complaint is the .5M (1.6ft) Type C cable that comes with the unit. I end up using the 3.3Ft cable that I purchased separately as the shorter one is completely useless for anything but laptop applications.